This eye-popping Star Wars print is styled like a retro recruitment poster! From artist Mike Kungl, it measures 22-inches tall x 17-inches wide. Limited edition of just 150 hand-numbered pieces! 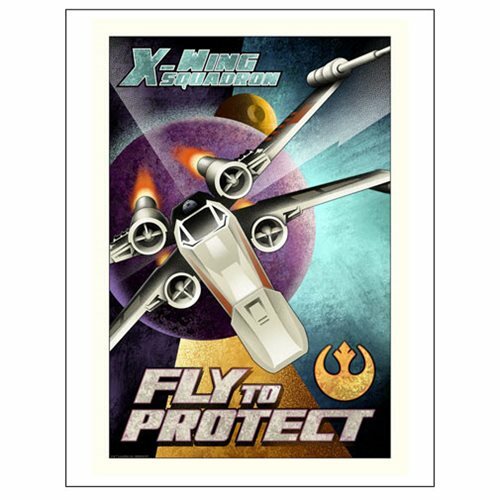 Styled like a retro recruitment poster, this eye-popping Star Wars Fly to Protect Paper Giclee Art Print from the talented hand of artist Mike Kungl measures 22-inches tall x 17-inches wide. It's an unframed limited edition of just 150 hand-numbered pieces that comes with a certificate of authenticity.